We know it's not technically Black Friday for another few days, but we wanted to bring you these cant-beat deals early. Save big this holiday season during our exclusive sale, which starts today! 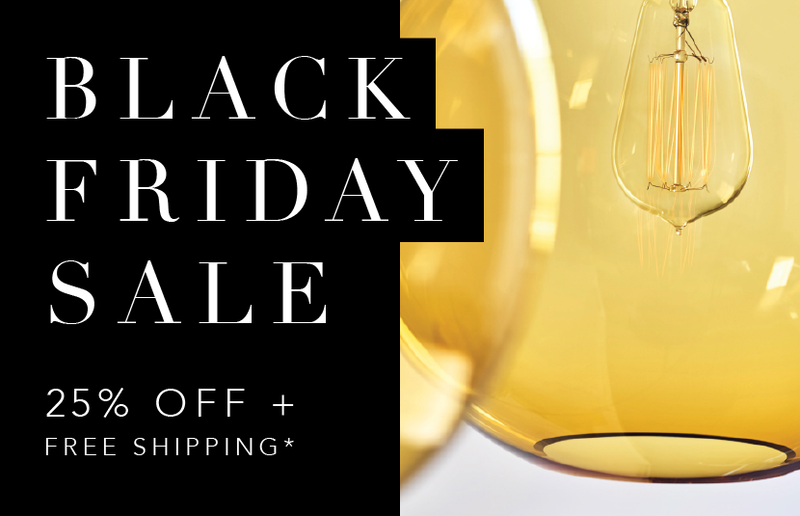 From now until Friday, November 30, use our exclusive code SHIP300 at checkout to take 25% off all hand-blown glass pendants*. For those in the Continental US, you will also receive free shipping on your orders. The real bonus, though? You get a one-of-a-kind pendant light handmade by our talented team of glass artisans. When you purchase from Niche, you are investing in great quality and design. Get your wish list ready and start shopping our sale pendants now!